Maintaining Standards. Critical Color All the Time. Working with big brand retailers means taking a serious stance on color. 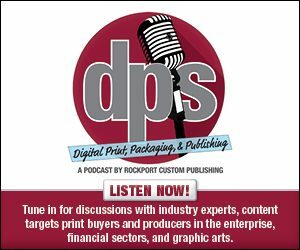 For many print providers with deep roots in the business, the production area is an amalgamation of printing technologies from flexography and lithography to wide and narrow digital. A client may need several pieces for one job, and depending on quantity, cost, and material, these are run on multiple presses. The concern—ensuring the color matches across pieces of hardware. Above: Meyers of Minneapolis, MN recently invested in an Inca Onset X3 through Fujifilm North America Corporation. Meyers, based in Minneapolis, MN, provides brand marketing and high-end commercial printing. In business since 1949, the centrally located company is close to raw goods from paper mills in both MN and WI, and a day and a half away from the East or West coast—providing convenient shipping anywhere in the country in addition to Canada and Mexico. Its Minneapolis location hosts 250 full-time employees in 250,000 square feet of office, production, distribution, and warehouse space. With a hand in many industries, some of its notable customers include Aveda, Hormel, Starbucks, Target, Ulta Beauty, and Verizon. The print provider offers multiple in-store displays, promotional materials, and other large format printing applications; label and package printing; and promotional cards. Meyers provides complete retail marketing solutions, from strategy to creative conception and execution; custom engineered packaging and display solutions; printing and assembly; and distribution and installation logistics. With the goal of providing customers with high-quality work while simultaneously adjusting to the trend of smaller runs, Meyers turned to digital printing technologies. “Digital printing allows Meyers to deliver high-quality work in an efficient manner for short-run projects. This opened the door to handling a greater variety of SKUs and increased regionalization of projects,” shares Josh Schiro, prepress manager, Meyers. The company’s digital printer arsenal includes a Durst Image Technology US, LLC Rho P10, ideal for short-run, high-quality projects, according to Schiro. An HP Inc. Indigo is used for label orders. Last year, Meyers installed an MPS EF SYMJET powered by Domino digital hybrid printing press. It combines the best features of digital and flexographic processes on narrow web jobs. The company’s newest digital printer is an Inca Onset X3 through Fujifilm North America Corporation. With a print area of 126.8×63 inches, the flatbed is capable of printing up to 9,600 square feet per hour. It was chosen for a number of reasons, including speed, consistency, and quality. “It is also capable of printing on most any substrate, which gives us tremendous flexibility in the work we do,” says Schiro. Part of the company’s success is its focus on color management. With big box retail clients, Meyers is constantly tasked with hitting the correct color consistently. The company celebrates 11 consecutive years with G7 Master Qualification from Idealliance. Schiro believes it is one of the most important tools the company uses for color management. To retain its qualification year after year, Meyers employs a G7 expert to analyze its print processes and establish gray balance across all of its presses. “This gives our printers a neutral foundation that makes it easier to balance color output and produce repeatable, predictable results,” explains Schiro. Its ChromaChecker application complements G7 qualification. It’s used throughout the year to read color bars on every job and guarantee consistent gray balance. Other tools also help manage color. Kodak ColorFlow drives printing plates to manage color through the application of the printing curves, GMG ColorProof controls its proofing equipment, Esko software handles color consistency on the SYMJET and HP Indigo, and Caldera software manages the Inca Onset X3 and Durst Rho P10 presses. Meyers credits its years of experience hitting color on traditional presses in its ability to seamlessly transition to the level of expertise required today when it comes to managing color on digital presses. “Whether we are working with analog or digital technology, we print with the same target in mind from a color standpoint. The goal is to maintain color consistency between our flexographic, lithographic, and digital presses. That push for consistency drives our need for color management,” shares Schiro. Color management tools are used on every job produced by Meyers. The company views all projects as color critical and works to meet clients’ expectations and maintain brand standards. This was the case for a recent job for Toys R Us. The main goal was to achieve a close match between lithographic and digital print, so that colors were consistent throughout the store. “Matching digital to lithography is always a challenge because the technology underlying the two processes is so different. Achieving that match is much easier with G7 calibration and Gracol color space,” explains Schiro. From job submittal to completion, the project took two weeks. It was printed on various materials from a C1S label stock and a variety of plastic substrates. Printed with both lithographic and digital technologies, Meyers chose its newest digital press, the Inca Onset X3, for its color consistency, color gamut, and resolution. 150 pieces of in-store signage were produced.